Meera has fallen for IK, the controversial Lollywood actress said, “If he ever asked me to marry him, I would most definitely accept the offer. He is a very good-looking and educated man. I would most likely to see him as aPrime Minister of Pakistan in Naya Pakistan”. The report said that PTI chief has rejected the proposal due to his political engagements and vision for the establishment of Naya Pakistan. “Can’t consider the proposal as I’m busy in the struggle for Naya Pakistan” the report said, while quoting PTI chief. Upon listening to Imran Khan’s statement Meera has another valid deal to offer him. 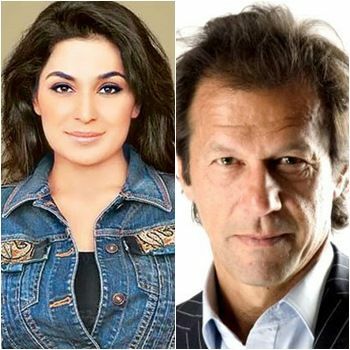 Recently, Meera was interviewed while attending the Quaid-i-Azam Trophy tournament at Lahore’s Qadhafi Stadium and when asked about her interest in Imran khan she said “I am willing to marry the cricketer-turned-politician”. The whiz has created during one of his rallies, when Imran had lightheartedly said that one of the reasons he wanted his demands to be met urgently so that he could get married. Following the statement, a television channel had asked Meera whether she would marry Imran if asked and her answers was all positive.